Currently, we accept all the cards mentioned above i.e. Visa, MasterCard, Maestro, Visa Electron and American Express. More payment options will be available on TapUAE in the future. Card security code failed: Please note that an incorrect card security code could cause payment failure. Card security code is the short numeric code on the back of your credit card. Please verify that you have entered the correct card security code and try again. Insufficient fund: If you meet the insufficient fund error log when you make payment by credit card, please make sure that you have sufficient funds in your account. Exceed limit: Please make sure the order amount does not exceed your credit card limit. Or the payment is unable to go through smoothly. 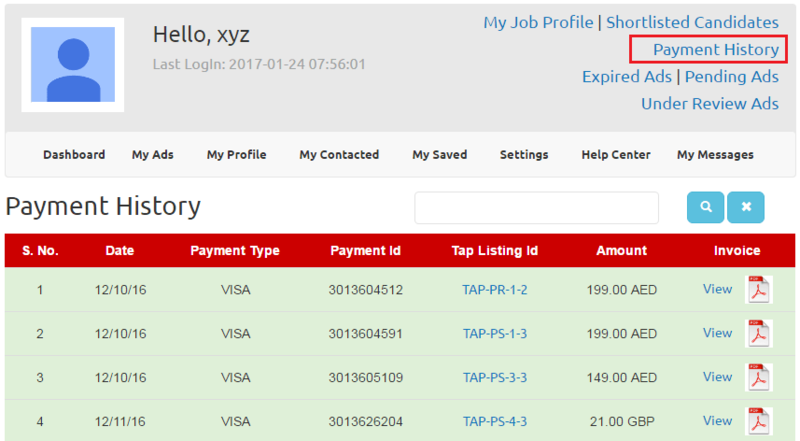 Goto Dashboard, and you will on the right side "Payment History"
On its click, you can see entire payment transaction history related to your ads. Right column of the spread sheet has the link of corresponding payment id's Invoice. Once the payment has been done via Credit / Debit Card, it is not going to be cancelled. You can cancel a payment you've sent if its status is "Unclaimed" in the "Payment Status" column. "Unclaimed" means the recipient hasn't received or accepted your payment yet. Click on the transaction you'd like to cancel. Click Cancel in the "Order status/Actions" column of the transaction in question. If there's no Cancel button beside the unclaimed payment, this means the recipient is still considering whether to accept or refuse the payment. If a payment remains unclaimed for 30 days, it'll be refunded to you automatically. 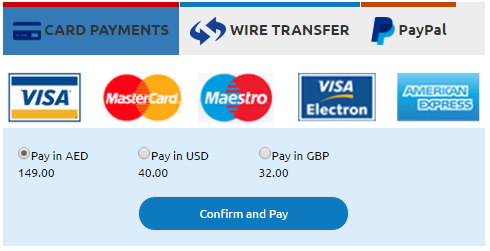 Currently, we accept payment in AED, USD and GBP. We also accept payment through Paypal in USD and GBP. To Complete the transaction. you have to make the Bank/Wire Trasfer in 10 Business days from the date of this order using the details below. Use the above information to pay order by Bank/Wire Transfer. Be sure to include your reference number. You may initiate a Bank Transfer either in person at your Bank's Website via Net Banking. Your Bank might require additional fees which should be supported by you, otherwise the order processing will be delayed. Your Order will be processed after we receive a confirmation from our Bank that the payment with the due amount has been completed. Dont put reference number... as it will be generated when pack is purchased. Just Amount is ok. 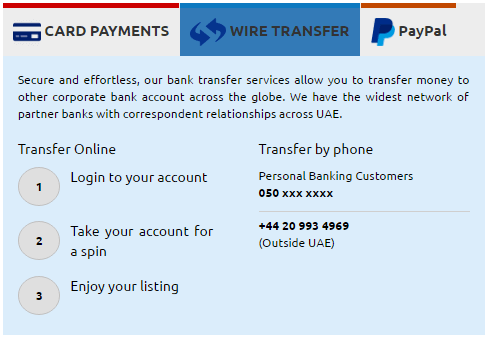 I'm not from Dubai, how can I pay via International mean? You need to have Credit or Debit card which has international online transaction enabled to do the payment on TapUAE. There is no restriction of nationality while doing the payment. Currently, we accept only those cards which is mentioned above.